Michele is the principal of Corinna School in Porirua East. This is her second principalship and she has also been a reviewer in the Education Review Office. 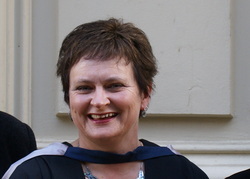 Her Masters in Education is made up of papers in Evaluation and Maori Education. Michele believes that the school library should be the central facility to develop coherence across learning areas in a school and is crucial in developing learners for the future.